Palitaw is one of my favorite kakanin (Filipino native sweet delicacies) when I was growing up. My mother made this so often maybe because it’s a very inexpensive and easy-to-prepare snack. 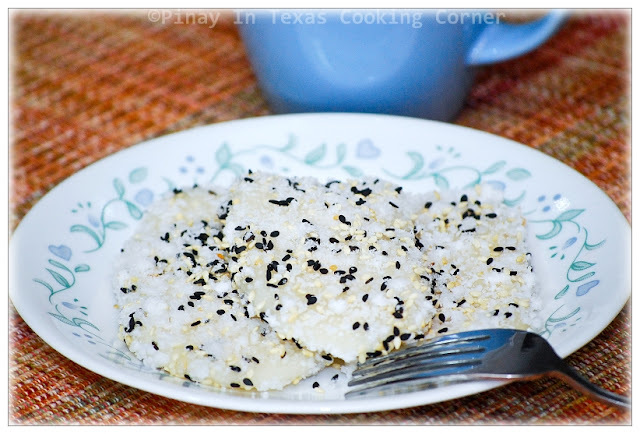 Palitaw is a native Filipino snack made with galapong which is ground malagkit (sticky rice). 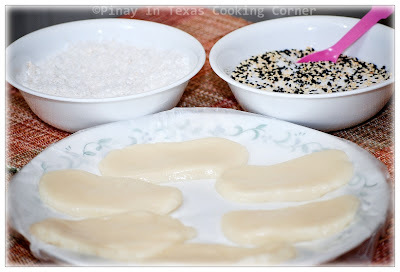 If you are not in the Philippines like me, using glutinous rice flour could be an option. Palitaw is cooked quickly in briskly boiling water, then rolled in freshly grated coconut and then sprinkled with mixture of white sugar and toasted linga (sesame seeds). The name is derived from the Filipino word litaw, which means to float or to surface. The name is descriptive of the way palitaw is cooked: the flat oval-shaped dough is dropped in a casserole of boiling water and when it rises to the surface after about 30 seconds, it is fully cooked. In some regions, palitaw is called dila-dila because of its oval shape that makes it look like a tongue (dila). This kakanin is so yummy! It’s chewy and the toasted sesame seeds tastes so good. It’s like a low-fat version of sesame balls (buchi) that you can eat at a Chinese restaurant. Try it! 1. 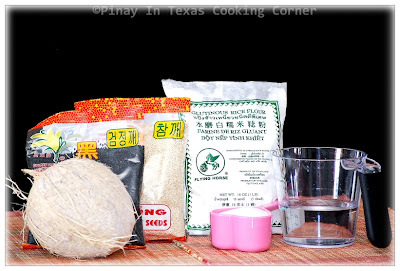 Combine glutinous rice flour with water and mix until a dough is formed. 2. Scoop about 1½ Tbsp of dough then mold it into a small ball. 3. Flatten it into oval-shaped dough using the palm of your hands. Grease your hands with a little butter spray so dough won't stick. 4. Boil water in a sauce pan then drop the dough one by one into it. 5. 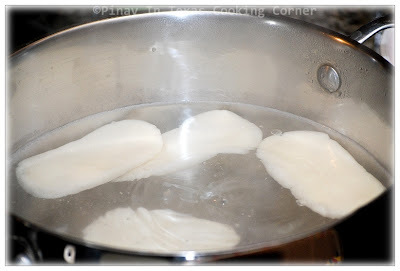 About a minute after the flattened dough starts to float, remove them from the sauce pan. Transfer them on a wax paper lined plate and allow them to cool down a little. 6. Combine sugar and roasted sesame seeds. Mix well. 7. 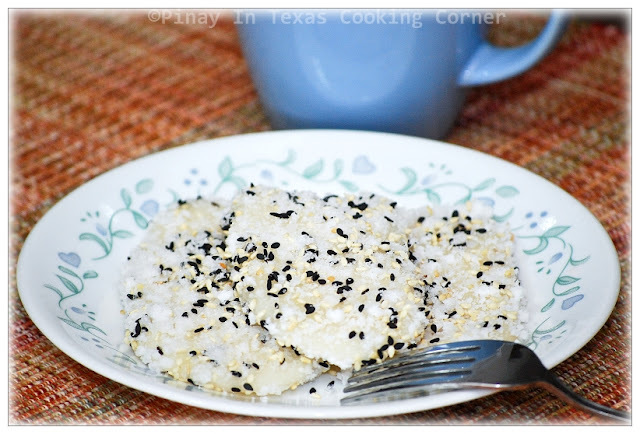 Coat both sides of palitaw with grated coconut. Sprinkle with sugar and sesame seed mixture. 8. Arrange in a serving plate and serve with your favorite drink. Nice recipe, Thanks for sharing. My favorite. You are my new resource person when it comes to cooking. Thanks for all your recipes. Thank you for your recipes. I am your new follower.